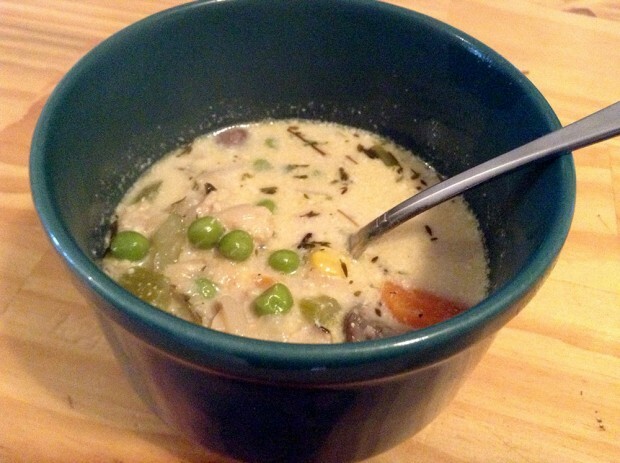 One of the sad things about the coming of spring is a decrease in soups. But here in New England, we’re still having some chilly days. Here’s a light fish stew that’s great for the changing of the season: warm enough to take the chill out, light enough to not weigh you down. *Neither a vegetable nor paleo/primal, I know. But it just seems right in a chowder type of thing. 1. 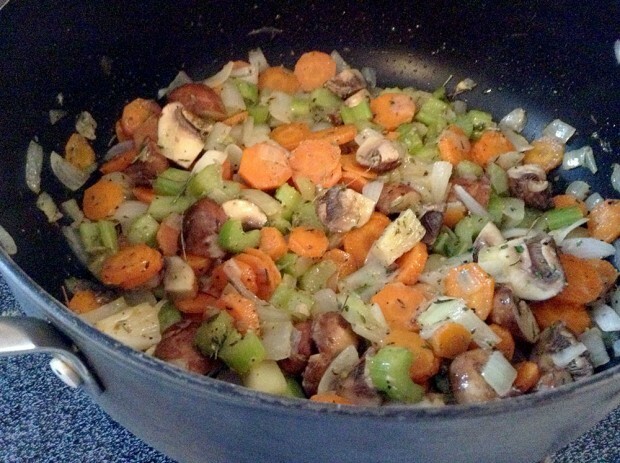 Sauté the vegetables and some seasoning in the oil or fat: onions and garlic first, then carrots and celery, then mushrooms. Cook on a medium-low heat until they’re about half done. 2. Push the vegetables to one side. 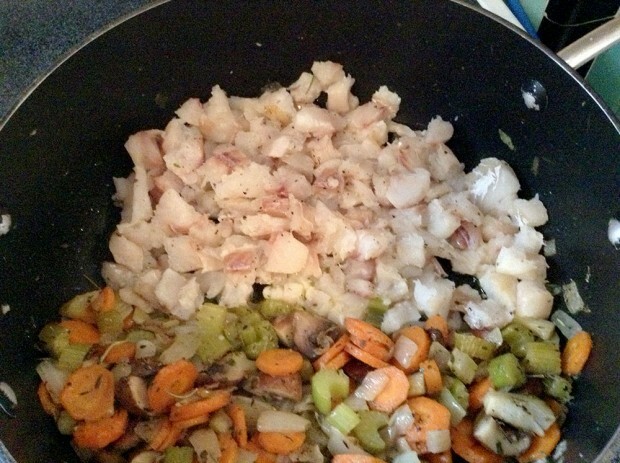 Add the chopped up fish to the other, mixing with seasoning. Cook until the fish is about half cooked, turning once or twice. 3. Mix it all together. Let it hang out for a bit. 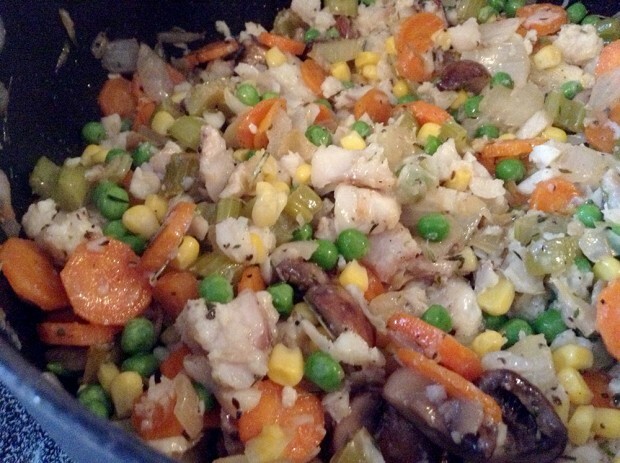 (At this point I added the defrosted peas and corn). 4. 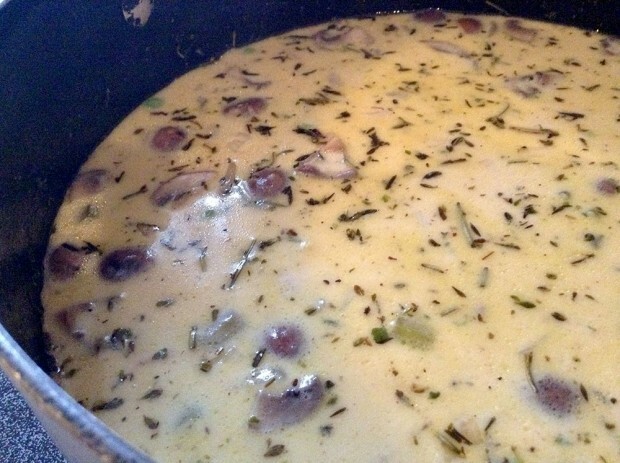 Add in the stock and milk or cream. Turn up the heat a bit. Cook until just before it’s going to bubble, then turn down the heat and let it simmer for a while. Looks great! 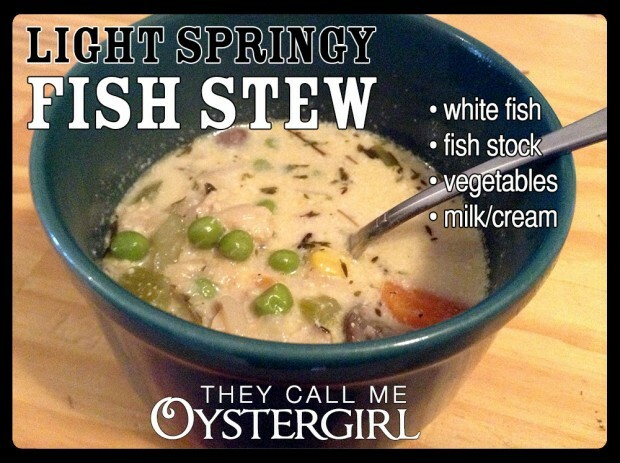 I can’t wait to try this with some Local Catch I get at Saturday’s indoor market.